So lets cut to the chase, new blog post, new ship. This ship has 2 bullets that orbit around it, hitting the player ship in front of it, or in the opposing lane. Now this effect is cool and all, but there is an issue, the trail render only uses world values, and cant have local trails, so when you end up moving it, it looks like this. The only way to get the effect using of a tail, and have it working in local space is to use a partical system. From this point on, each new ship spawn until after an arbitrary score has been achieved by the player, so in this case, after 500 points, the ship will be available to spawn, in doing this Ive also increased the amount of points it can give. 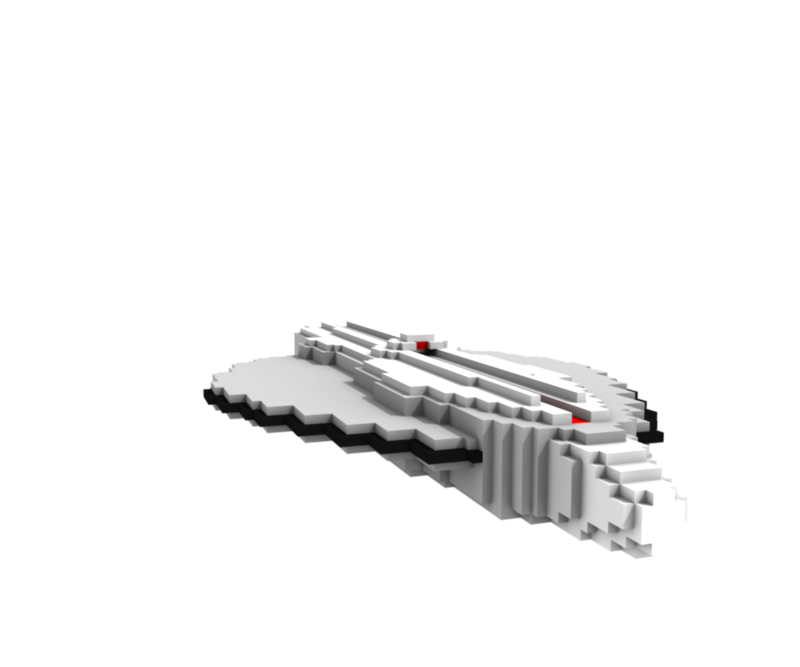 There was also some more tuning to the shield effect, but you are going to have to play to see that. The big thing Im struggling with at the moment and is letting the game down I feel is the camera angle, and the controls. Im using Easy Swipe & Touch Controller for the mobile input. So it should just be a case of just tweaking the settings slightly, play testing, and tweaking again. As for the camera angle Im not sure what to do. I might have to program in a few different options for people to play test, and pass my phone around and see what people like and dont like. There is intentional "white space" down the bottom so the players finger/thumb doesnt block the screen, which I found to be a problem on the first camera angle I tried. To trial a few Camera angles and positions I have set up some buttons on the Game Over screen to switch between some pre-selected ones, and hopefully get some feedback. 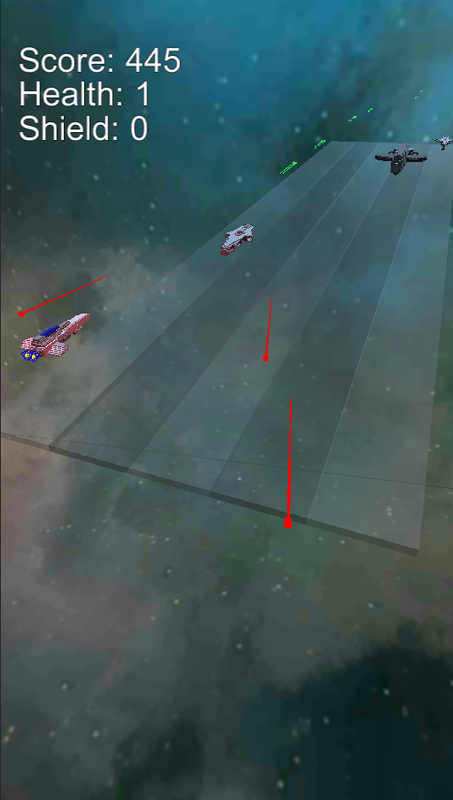 Last thing to change for this update was to increase the brightness for the enemy lasers/bullets. After play testing on mobile devices with a few people we found them hard to see. 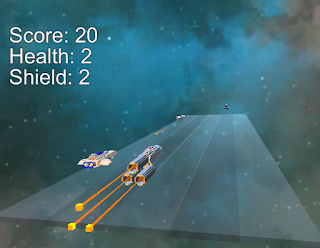 Changing the colour to orange helps with the contrast, and should make it easier to avoid enemy bullets.